Westport Wins Another Award. It’s Not One We Like. In 2016, Westport beat out 26 towns in the tri-state area for the highest ozone values. Our levels exceeded the National Ambient Air Quality Standard of 75 parts per billion, by at least 10%. The latest data indicates that things may be getting worse in Connecticut. Of course, high ozone levels are bad for the environment and our health. They’re linked to asthma, cancer, heart attacks, pulmonary problems, hypertension, and childhood development issues. Gas-powered gardening equipment — mowers, hedgers, trimmers and especially leaf blowers — now accounts for 5 to 10% of the total emissions in the US. 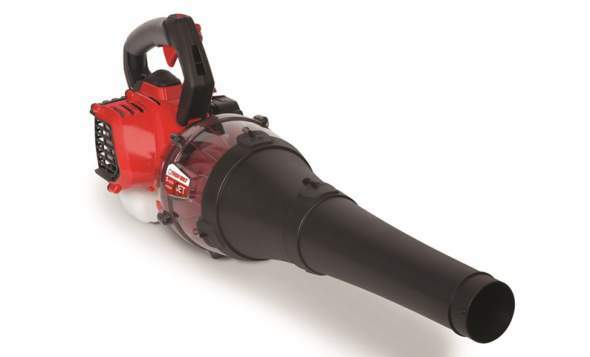 One gasoline-powered leaf blower produces more emissions in half an hour than 40 cars idling. These machines pose other significant hazards. The exhaust streams from leaf blowers, which often blow over 200 mph, stir up fine particulate matter that often contains pesticides, fertilizers, mold and rodent feces. The fumes can take days to settle down, which makes them especially dangerous for children and pets. Then of course there’s the noise. Most of these machines exceed the safe decibel limits set by the WHO, EPA and OSHA. Some experts recommend creating “safe zones” around schools and parks to protect children from the noise and other pollution created by leaf blowers. Save Westport Now believes that by capitalizing on new technology and adopting greener gardening practices, we can reduce the threat these machines pose — and still maintain our beautiful gardens. This Friday (April 20, Town Hall, 12:30 p.m.), Dr. Jamie L. Banks — executive director of Quiet Communities — will lead a discussion on what Westport can do to protect families from the hazards of gas-powered gardening equipment. She and her colleagues have helped other towns around the country adopt best practices to address the problems caused by this equipment. We’re sure she can help ours. This entry was posted in Environment, Local politics, Organizations and tagged gas-powered gardening equipment, ozone levels. Bookmark the permalink. This information is shocking! I hope Dr. Banks offers viable solutions to the problem. Our house in the Old Hill area where we have lived for 42 years is now surrounded by large houses, clear cut properties, and what must be heavy contracts with landscaping companies. It is not unusual to see 3 or 4 workers, each with a heavy duty blower on their backs, competing to blow the one or two leaves in the yard in to a pathetic pile. While the noise was often unbearable, I also now know why my lungs are suffering along with my ears. These pollution machines need to be heavily restricted. One spring cleanup, and one fall cleanup per property. What ever happened to rakes anyway? Thanks Save Westport Now for bringing this matter to the fore. There are totally viable alternatives to gas powered blowers. The new generation of battery powered leaf blowers and related equipment is truly amazing. Not at all like the wimpy junk that used to be all you could get – and they’re 50% quieter than gas powered blowers. My Westport neighbor hired an all electric landscaper (who charges his equipment with solar cells). What a difference that makes! One of the reasons I left Westport in 2005 was all the noise from leaf blowers and oversized lawn mowers. A leaf blower is stupid. What ever happened to push mowers? How did we survive in those ancient bygone days? I would love to hear the sound of a push mower. And rakes were our leaf blowers. Good exercise for the persons raking and fun for the kids to jump into the pile of leaves. For some reason this brought to mind a Twilight Zone episode titled A Stop In Willoughby. MowGreen started in 2006 with push mowers. I love them too. We invented a kit to push 2 or 3 of them at a time. They are the greenest mowers and work quite well in some situations. There is a video of me using the kit mowing 2 acres in 95 degree heat from Channel 12 news in 2012 on our website at MowGreen. Keep it REEL : ). But alas, for most of our work now, it is electric self propelled gear. At least it is zero emission and carbon neutrally charged. We still sell the Reel2reel kit now and then when people find it on youtube or in our blog. We’ll have to start marketing it more. Strange article – CO2 emissions have nothing to do with Ozone. On the leaf blower front, on average I have 28 huge tarpaulins filled with leaves that I drag off of my mowed yard into the woods each year. This is a 2-day job for me. Without a leaf blower, it would take at least three times as long. This information is a little skewed as I live in New Hampshire now, but my point is that a leaf blower has it’s place. Valerie – congratulations for taking a lead on this. or a variety of other stationary activities. My leaf blower give me over 1 Hr. work with very small amount of gasoline ( 0.5 qt. of gas ) . “One gasoline-powered leaf blower produces more emissions in half an hour than 40 cars idling” – this is not truth , if I fill the 40 cars with 1/40 of 0.5 qt gas the cars don’t have even chance to start the engines. I’m no expert for sure, but I suspect the air pollution issue mostly surrounds two stroke engines which, of course, burn gas with oil added to it – like a 50:1 ratio. The oil is the secret sauce that makes these amazing little feats of simplicity and power work. But they do burn dirty – by design. Battery powered blowers and mowers are not a viable solution. Even the 56 volt Ego equipment falls short on running time for a commercial outfit..a commercial outfit would need chargers on board and 4 or five batteries to complete a day’s work….and, since the particulates blown around are half the problem, the battery equipment would pollute anyhow….more men and more rakes is the answer……..IF those men can make it over the Wall. I asked my neighbor’s all-electric landscaper last fall about the Ego brand equipment he uses. It seems to be working out. He had extra batteries but I don’t remember if he had an on-board charger. I just recall that he told me he was charging the batteries with a solar cell array at home. If he is truly using only power he is harvesting from solar that is impressive but I just dont think unless he has a huge solar array he will be able to capture enough in one day to match a days’ usage. Looking forward to hearing more. As I mentioned, if one is pulling electricity from the grid for use in electric lawn appliances, chances are they are doing more harm to the environment than using gas tools due to the electricity having to be produced some how and the loss of efficiency that comes along with the electric motor. Good point, Josh. I just don’t know enough about this. I’m practically a cave man when it comes to tech stuff – and probably a total hypocrite when it comes to the environment. For me, the fact that this electric equipment is so much quieter was what mostly got my attention. It’s just tough when you live real close to people and you want to do yard stuff but not totally annoy your neighbors. That’s impressive, Morley..could you get his permission to publish his name? BTW, a 4 cycle back pack(about $550) pollutes some 70% less than the 2 cycle, oil&gas mixture ones used by ALL landscapers…they also make far less (but still bothersome) noise. Thank you for writing about this. The lawns look beautiful but hardly anyone is ever outside. When we first moved, I grabbed a good book and a glass of lemonade, ready to enjoy the sun and the birds, only to have to go back inside because of the noise of the leaf blowers. It is constant, all day kind. The meeting was extremely eye opening for me and my husband. Not only do the gas run equipment cause carcinogens in the air, which can lead to lung issues, but the amount of gas dripping on the ground and into our soil and water systems is enormous. The sound on the leaf blowers is dangerous to children’s health, and can affect all of our hearts and hearing. We plan to speak to our landscaper about a program that came up where landscapers can exchange their gas equipment for electric equipment that is in place in New Haven. 20 colleges are already on board with switching to electric. The main speaker Dr. Jamie Banks was articulate(she studied at MIT, Dartmouth and PHD in England) and gave scientific research to back her facts. The American Lung Association as well as American College of Cardiology and others I didn’t take notes on, are all on board with the research and dangers. You can reach her at jamie@quietcommunities.org for more info, a non profit she works for. Our community would have to get better informed so that they would want to make changes. I wish neighbors wouldn’t put pesticides on their lawns but that’s another story.Depending on the time of year,many times when we take our walk, a toxic smelly chemical wave of pesticides is inhaled by us.